The Posh Multi-Terrain Travel System.Escape the city. Find your new adventure. Whod have thought it possible? Ooba, the boutique unique 3 in 1 just got even more splendid. The all-you-need system with exquisite tailoring, from the House of Cosatto, just took a jaunt out to the country with new multi-terrain wheels. Whatever the weather, adventure-ready Oobas your patterned protector. Ever the starlet with even more exquisite detailing, one cant get enough of Great British Design. Go get your Cosatto classic.  Lightweight aluminium chassis. Easy to use. Easy compact fold. All round suspension for a smoother ride. Leatherette handle with adjustable height (99  108cm). Tall or small. Just push happy. Flip-over handlebar: This allows to lead with larger wheels for rough terrain or change from parent to world-facing with ease. Quick-release handle-mounted brake. Dont break your stride, the brake is on the side. 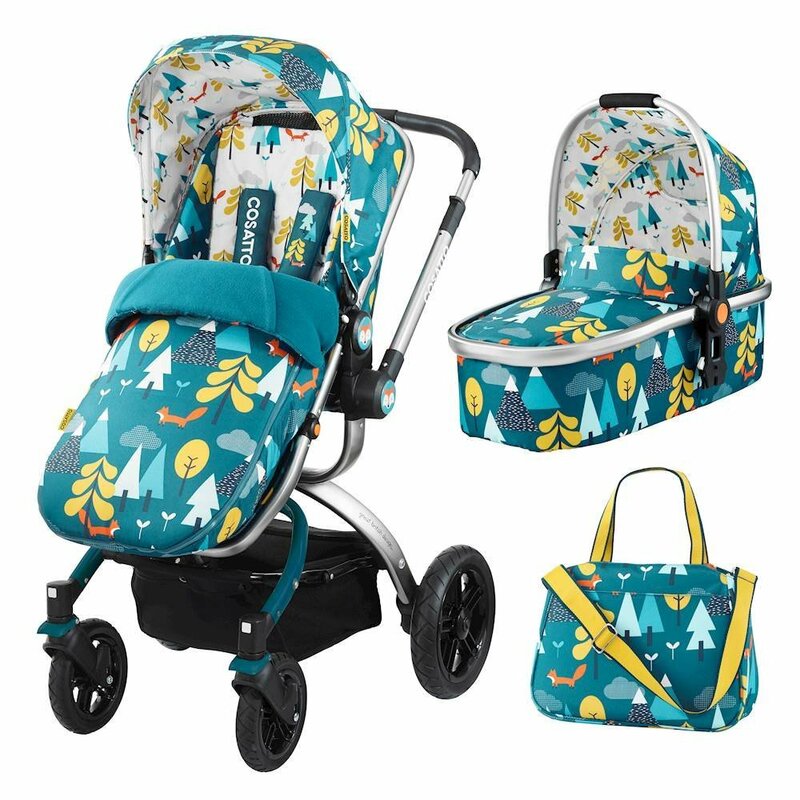  Compact, easy to fold and carry. Quick-release removable wheels for easy cleaning. Lockable front swivel wheels for tight spots.Conforms to EN1888:2012Carrycot: Suitable from birth Comfy lie flat bed  perfect for newborns. Removable apron. Carry handle build into hood. Removable and washable liner for easy cleaning. Carrycot suitable for occasional overnight sleeping. UPF 50+ sunshade protection hood to banish pesky rays. Discreet toy loops in hood. Add your toys for on-the-go fun. Conforms to EN1466:2004 + A1: 2007Seat Unit Suitable from 6 months to approximately 15kg (3 years old) Cosy Toes with zip off reversible liner. In or out facing seat so baby can face or the view.  Multi-position reclining seat for laid-back or bright upright.  Multi-position adjustable leg rest for comfy feet.  Removable bumper bar and cover. 5 point safety harness UPF 50+ sunshade protection hood Toy loops in hood. Add your toys for on-the-go fun. Multi-terrain wheels, robust and puncture proof, make this your posh go-anywhere.